One of the great things I like about the EMMR is its swept-down angle, making it compatible with KNS anti-rotation pins. Another great feature is its flush, low-profile design on its three sides. Three sides of the finger pad are flush with the magazine release body which makes it compatible with a variety of lowers. 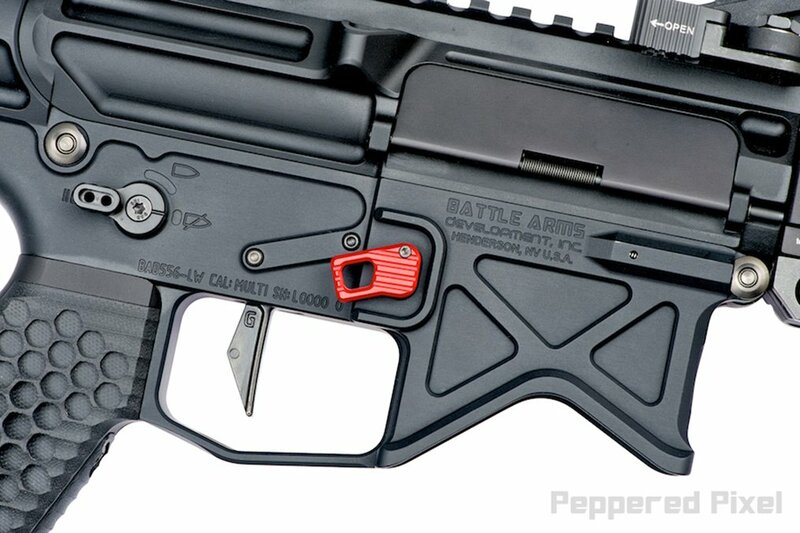 In particular, the lowers with ambidextrous bolt release where the 12 o'clock position of the magazine release fence is almost touching the magazine release. Oversized magazine release buttons by other vendors will crash and interfere. In my opinion, the BAD-EMMR is the quintessential enhanced magazine release currently out in the market. The BAD-EMMR is available in anodized red, black, and clear/silver, in medium and large finger pads. Peppered Pixel is a firearms enthusiast and photographer based in the Pacific Northwest.